Willyamite: Mineral information, data and localities. 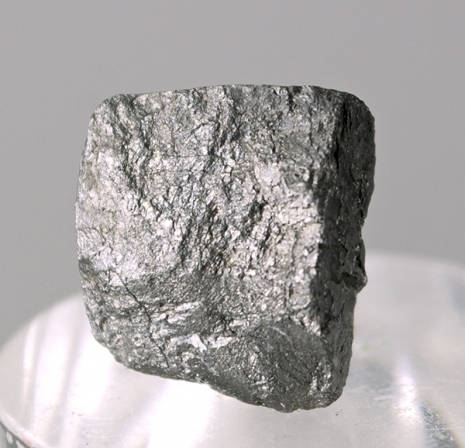 May contain variable amounts of Ni substituting for Co.
For the type locality, Willyama Township, New South Wales, Australia. Compare costibite and paracostibite, both CoSbS. Zoned crystals to several mm. Symmetry and space group unknown, but probably monoclinic or triclinic. Pseudocubic; a ~ b ~ c within error limits. 3.11.21 Imgreite NiTe (?) Hex. Pittman, E.F. (1893): Note on the occurrence of a new mineral at Broken Hill. Proceedings of the Royal Society of New South Wales 27: 366-375. Cabri, L.J., Harris, D.C., Stewart, J.M., Rowland, J.F. (1970): Willyamite redefined. Proceedings of the Australasian Institute of Mining and Metallurgy 233, 95-100. American Mineralogist (1971) 56: 361. Bayliss, P. (1986): Subdivision of the pyrite group and a chemical and x-ray-diffraction investigation of ullmannite. Canadian Mineralogist 24, 27-33. Dobbe, R.T.M. (1991) Ullmannite, cobaltian ullmannite and willyamite from Tunaberg, Bergslagen, central Sweden. Canadian Mineralogist 29, 199-205. Weiser, T.W., Kojonen, K.K. and Lodziak, J. (2008): New data of eskolaite, Zn-bearing chromite, willyamite and ullmannite from the Outokumpu mine, eastern Finland. Bulletin of the Geological Society of Finland, 80, 5–18. Pittman (1893); Am.Min. :56:361 (1971)(abstract); Rocks & Min.:62:224-225. ; L.Lawrence, A.R.Ramsden & I.T.Graham 1999. On oxidation of Dyscrasite and associated minerals of the Consols Lode, Broken Hill, New South Wales. Australian Journal of Mineralogy Vol.5, No.2, Dec.1999, pp. 63-68; Vera Munro-Smith (2006) Cobalt Mineralisation in Selected Australian Deposits. PhD thesis, University of Western Sydney. Vollo, N. B. (1959). The Geology of the Henderson Copper Deposit Chibougamau Region, Quebec (Master of Science thesis, McGill University). Jingwen Mao, Yumin Qiu, Goldfarb, R.J., Zhaochong Zhang, Garwin, S., and Ren Fengshou (2002): Mineralium Deposita 37(3/4), 352-377. Brabec, P. (2002) Antimonová mineralizace ve Vlastějovicích. (Unpublished MSc. Thesis), Charles University, Prague (in Czech with English summary) 128pages. Venerandi Pirri I. (1992): Willyamite from the Pb-Zn-Ag-Sb deposit of Argentiera, Nurra, NW Sardinia. Eur. Journ. Mineral., 4, 395-397.; Ara D., Sanna L., Rossi A., Galli E., De Waele J. (2013): Minerali secondari in ambiente sotterraneo: la miniera dell’Argentiera (Sardegna nord-occidentale). In: Cucchi F., Gudi P. (eds. ), Atti del XXI Congresso Nazionale di Speleologia “Diffusione delle conoscenze”, Sessione Attività di esplorazione e ricerca. Trieste 2-5 giugno 2011. Edizioni Università di Trieste, Trieste, 290-295. Kovalev, K.R., Kalinin, Y.A., Naumov, E.A., Pirajno, F., and Borisenko, A.S. (2009): Ore Geology Reviews 35, 186-205. Bryzgalov, I. A., Krivitskaya, N. N., & Spiridonov, E. M. (2007, November). First finding of nisbite and aurostibite in the eastern Transbaikal region. In Doklady Earth Sciences (Vol. 417, No. 1, pp. 1265-1267). MAIK Nauka/Interperiodica. Spiridonov, E. M., Krivitskaya, N. N., Bryzgalov, I. A., Kulikova, I. M., & Gorodetskaya, M. D. (2010, December). 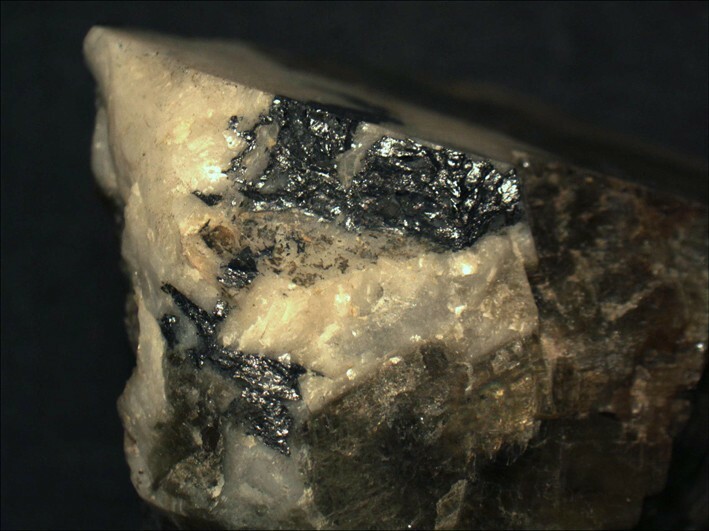 Bismuth-rich aurostibite: A product of maldonite replacement in a volcanogenic-plutonogenic Darasun deposit (Eastern Transbaikalia). In Doklady Earth Sciences (Vol. 435, No. 2, pp. 1611-1613). MAIK Nauka/Interperiodica. Nysten, P. & Annersten, H. (1984): The gold mineralization at Enåsen, central Sweden. Geologiska Foereningens i Stockholm Foerhandlingar 106, 245-256. Vos, I.M.A. et al. (2009): The geology and mineralization at the Golden Pride gold deposit, Nzega Greenstone Belt, Tanzania. Mineralium Deposita 44, 751-764.